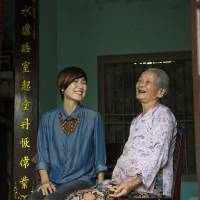 Across a verdurous field of sweet potatoes, Saeko Ando sits on a porch chatting with elderly neighbor Nguyen Thi Son, whose blackened teeth age her to a time in Vietnam’s history when customs were somewhat different than today. 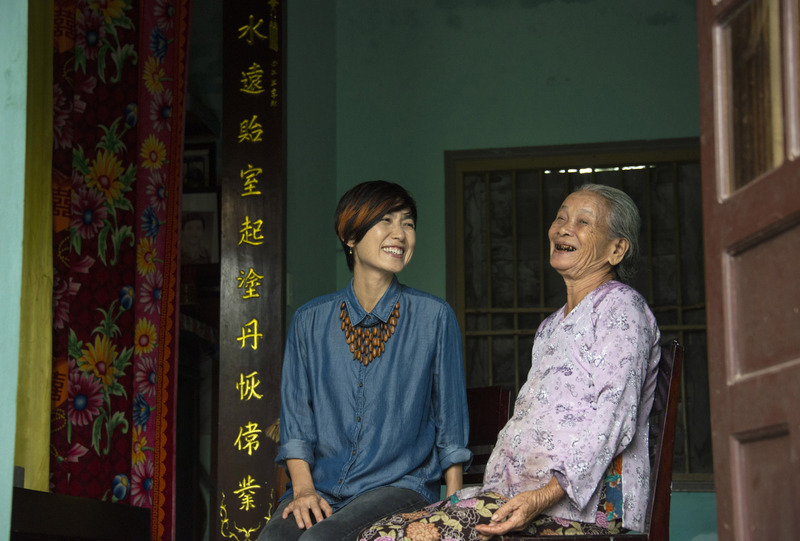 Vietnam’s younger generation, she tells Ando, are forgetting the country’s past, its horrific war of the 1960s and ’70s, but also its traditional culture. “I told her that in my country, too, we experienced such change long before the Vietnam War,” says Ando, switching effortlessly from Vietnamese to English. “You can find many similarities between our cultures,” she adds, drawing another convivial smile from her host. 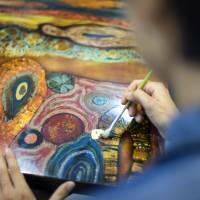 Back at Ando’s studio, which is located on the outskirts of historic Hoi An, that devotion is quickly evident. 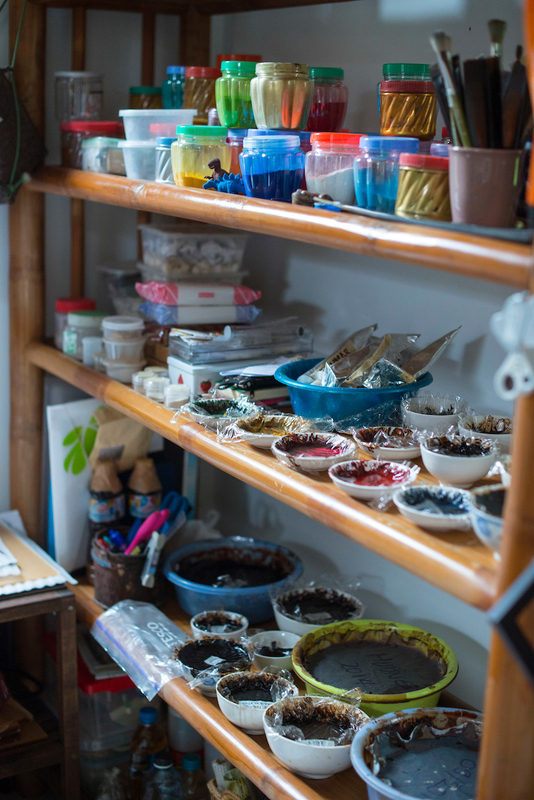 Lined up on shelves are dozens of brushes, spatulas and other implements used to hone her craft, as well as numerous containers filled with liquids of varying hues and viscosities. This, she explains, is Vietnamese lacquer, the medium she chose to bring to life artistic ideas she has been cultivating since childhood back in her native Aichi Prefecture. As a child, Ando and her “hugely influential” mother were a formidable creative force, making a variety of things, including picture books, one of which won first prize in a prefectural contest. Happy to develop her artistic talents privately and wary of the constraints she felt Japan’s education system tends to place on creativity, Ando decided against going to art school and studied at Waseda University’s philosophy department. But her career took a sharp turn after graduation, when she embarked on a high-flying career as a cabin attendant for a Japanese airline. Even then, it was art that motivated her. She had resolved to learn an art or craft overseas, but lacked the financial means. While she saved, she took every opportunity to visit art galleries around the world, immersing herself in different styles. In fact, it was during a visit to one such gallery — the Van Gogh Museum in Amsterdam — that she first became interested in painting. After quitting her job, Ando started attending classes at an atelier in Tokyo run by an oil painter, a move that ultimately led to her leaving Japan. It was far from love at first sight. Having fallen victim to con artists in Ho Chi Minh, she headed north to the capital, Hanoi, where she found the locals to be unsmiling and seemingly unfriendly. But when she suddenly fell sick, she found help from an unexpected quarter. She soon found explanations for the perceived inhospitality. Hanoi, like other parts of Vietnam, was still adapting to the Doi Moi reforms of the late 1980s, while traces of a dystopian culture that discouraged contact with outsiders still lingered. Around the same time, Ando started to notice Vietnamese lacquerware, which in those days, she says, was made largely for the East European market and not terribly inspiring. Her creative urges were nonetheless piqued and Ando began to draw pictures in her mind of new, chic lacquerware designs. She decided to learn about the manufacturing process and visited ateliers headed by lacquer artists. 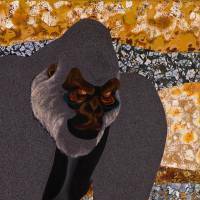 One of them was Trinh Tuan, a widely revered artist whose work Ando had seen in a Hanoi gallery and admired greatly. She immediately asked to study at his workshop. “I expected to have to go through weeks of begging and rejection in good old master-apprentice tradition, but he accepted me straight away,” she says. 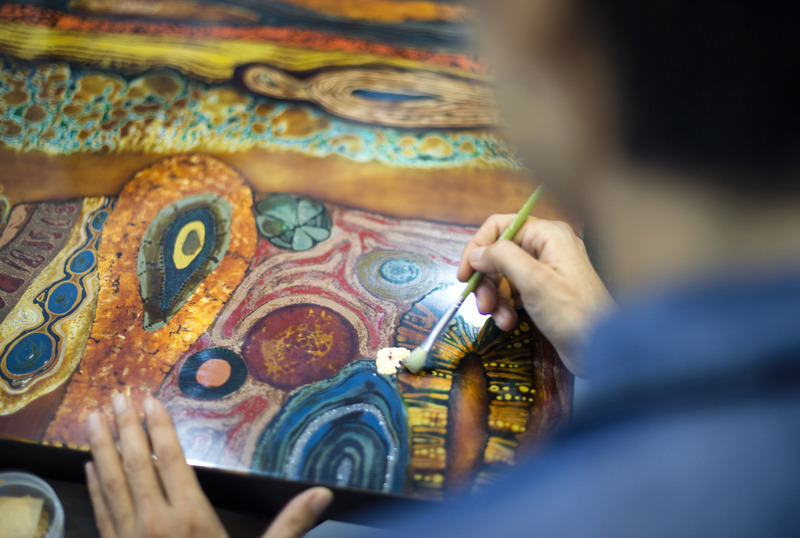 Through Trinh and two other lacquer masters, Ando has since learned the entire gamut of “Son Mai” processes, even spending four years learning the painstaking art of crafting the boards that form the base of Son Mai paintings. She even researched the origins of Son Mai, which, she says, was a term first coined about a century ago by French colonial artists in Hanoi who were searching for a substitute for oils and watercolors. “That’s when they started using Vietnamese lacquer, though they found it had to be sanded to be of use,” she says, explaining the meaning of Son Mai (“sanding lacquer”). 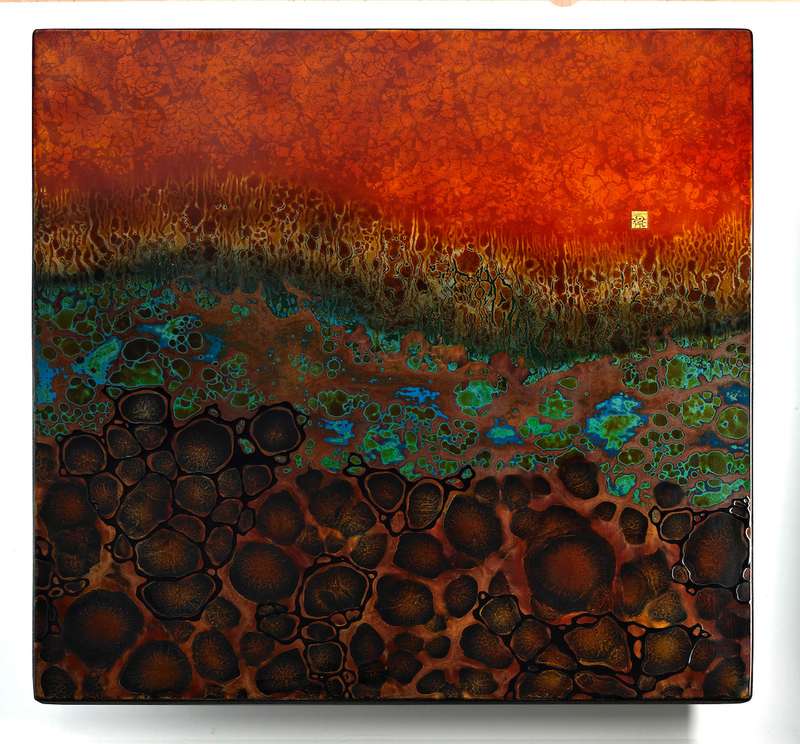 The art that has since evolved involves painting multiple layers of lacquer, crushed shell, silver leaf and other materials on a board and then sanding to reveal layers hidden underneath, explains Ando. Despite the long tradition of lacquer crafts in Japan, it’s an art style that Ando says she would never have been able to realize back in her motherland. The lacquer of the two countries is very different, largely due to the larger water content in Vietnamese lacquer. “Lacquer doesn’t really dry, but hardens via a chemical process and Vietnamese lacquer needs a higher temperature and humidity to be active. In Japan it would dry too slowly,” she explains. 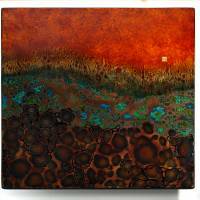 As her art and knowledge of Vietnamese lacquer traditions have developed, so too has the esteem in which she is held. Not only was she the first foreign artist to be accepted into a prestigious Vietnamese art association, but her work has been shown at exhibitions around the globe.